The archangel Uriel, whose name means “light of God,” was the messenger sent to Noah to announce the coming of the Flood. 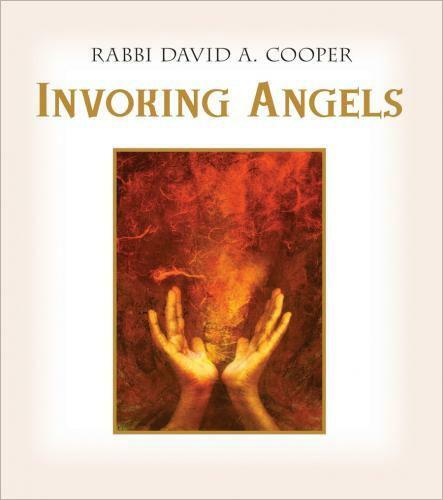 As the story of the Flood captured the imagination of many commentaries, there is a fairly wide array of angels mentioned by different commentators. Some say it was Raziel—the angel connected with Adam and mysterious book—who gave Noah the same book so that he would have the instructions on how to build the ark. The late professor Gershom Scholem of Hebrew University, who popularized the study of Kabbalah a half-century ago, said that Raziel and Uriel were one and the same. Indeed, from a mystical perspective, both have identical numeric values in which the Hebrew letters of each of their names add up to 248, which is a kabbalistic proof that there must be a distinct relationship between these two angels. Another way of saying this is that the revelation of “secrets” (Raziel) brings a special “light” (Uriel) that raises one’s Awareness of the nature of Presence. Some say it was Raphael who gave Adam the book, others say Raphael gave Noah a different book at the end of the Flood, a book on medicine and healing. Some say angels actually assisted Noah in the building of the ark. In Judaism, the Torah is examined word by word, letter by letter, in the belief that as a holy document it contains all of the secrets of creation. In this process, the sages have analyzed virtually every textual difficulty in an attempt to offer solutions that reveal hidden divine teachings. There are many mystical explanations for problems that cannot be rationally determined. This is why we find angels everywhere throughout the oral tradition. Considering the story of Noah as an example, the commentators were certainly troubled by how Noah knew to design the Ark to survive the Flood, how to build such an ark, why it had the specific design elements described in the Torah, and how Noah knew the way to prepare for a lengthy period of survival. Thousands of questions have arisen on issues, for example, as obvious as how to keep predatory animals calmly along side their prey—lions and lambs living together in peace. As we dig more deeply into these kinds of commentaries, we discover interesting hints on the qualities that are being probed. Regarding the archangel Uriel, the light of God, we find in kabbalistic literature that when Noah was instructed by an angel on the building of the ark, he engraved the teachings in a mystical precious stone, a sapphire, which he then built into the ark as a kind of skylight. This stone was a mystical source of light and became the main source of illumination for the ark. The oral tradition teaches that during the entire twelve months of the Flood, Noah did not need normal daylight or moonlight, for the engraved sapphire of illumination shined all the time. The Hebrew word for sapphire is “sappir,” which is root connected with the word “sefirah,” which represents the emanation, or radiance, of God .The sages argued over the true meaning of this divine illumination, however, it is quite clear from a kabbalistic perspective that this illumination of the ark throughout the entire period of the Flood surely includes the representation of the continuous presence of the angel Uriel. There are many descriptions in various traditions of a powerful light that glows when one is experiencing a high level of consciousness. This is Uriel, the archangel that rules over all the luminaries of the heavens. It’s light so penetrating, Uriel is the primary guide that one can use to navigate through the darkest places of our minds. Indeed, one of Uriel’s primary tasks is to guide an army of angels into the depths of the Netherworld. Uriel normally carries the light of mercy, when forgiveness reigns. However, its name can change to Nuriel, which also means the light of God, but it is a kind of light that represents the harsh severity of pure justice and absolute payment in kind for one’s misdeeds. Uriel, then, is the angel we wish to evoke when we have been carried into a depth of darkness, and perhaps despair that requires a special light, an all encompassing light of mercy and wisdom that will guide us out. We must be aware, however, that it is also a light of illuminated truth, which means we must be prepared to see and recognize aspects of ourselves and of the situation that are possibly key elements of the blindness that has caused this darkness. Uriel is connected with the special light that glows within all beings, a light so clear and so bright, we can see it right in front of our faces even in total daylight. Most commentators agree that Uriel stands directly in front of the Throne and therefore should be envisioned as a light in front of us that we are continually entering.